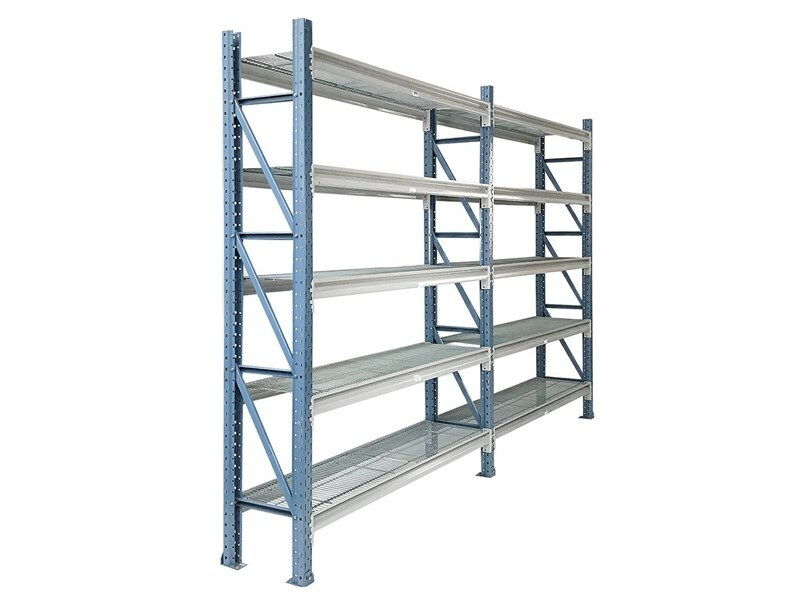 Ezyspan branded Longspan is a Storage Solution product offering a light weight, easily adjustable shelving solution with strength and durability. Ezyspan branded Longspan is a heavy duty 500kg per shelf, versatile solution which allows it to be suitable for a variety of applications. Ie: Home, Garage, warehouse & workshops. The easy clip together construction and the frames being supplied preassembled allows for a faster installation. 5 Levels Per Bay ( other configurations available on request ).